Come out to enjoy the stunning fall foliage, dairy farms, and quaint villages of the Pioneer Valley, then stay for the gourmet food, beer, live music and entertainment. BikeFest is the most fun you can have on or off a bike! The orchard ride will feature a dramatic climb through Bardwell’s Ferry after crossing the historic Bardwell’s Ferry steel bridge. 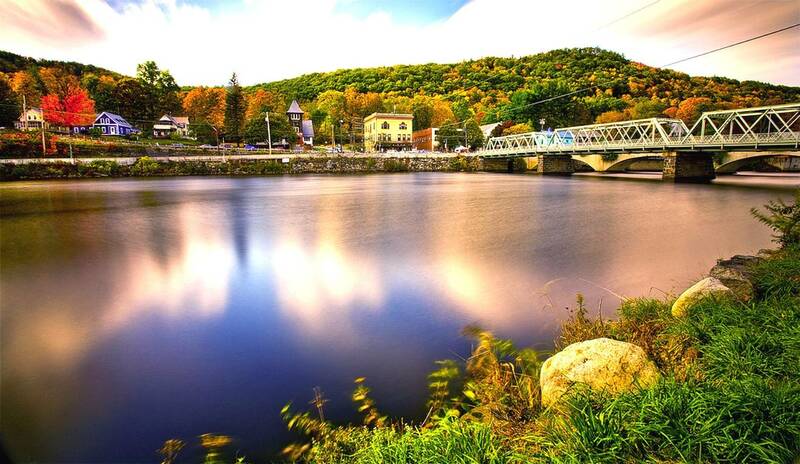 The Shelburne Falls stop will be on a scenic over-look above the famed Glacial Potholes (Century and Metric rides). Tour of the Valley entrance fee includes fully supported ride with SAG, well-stocked rest stops, a post-ride buffet with local craft beer, entertainment featuring the music of the Galvanizer Band and other surprises. High quality, advertising-free T-Shirts and Water Bottles are available for purchase while supplies last. All proceeds benefit The Northampton Cycling Club, a 501c3, offering support for youth and amateur cycling; the JAM Fund, a 501(c)3, helping younger cyclists achieve their goals, both on and off the bike, through mentoring, grants and a supported racing program. Kids ride Free: Children 10 years old or younger ride free with a registered parent. Both must be present at sign in. 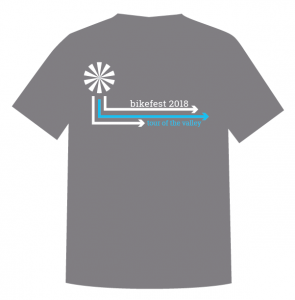 BikeFest needs volunteers! Learn how you can get a free BikeFest T-shirt, water bottle and lunch by volunteering or providing a volunteer. Sign up here or click here for more information. Note: Look Park imposes a motor vehicle entry fee of $9. Bicycles always enter free. – Five great, well marked, ride routes to choose from. – Motorized SAG with mechanical support provided for all rides. – Well stocked rest stops approx. every 25 miles with sports nutrition. – A gourmet post-ride buffet with local craft beer. – Local craft beers available with your lunch (must be 21). – Rides start at times below with an announcement and send-off. Like our new page on Facebook for the most recent news! All proceeds benefit the JAM Fund, and the Northampton Cycling Club’s youth and amateur cycling programs. NCC and JAM Fund are registered 501(c)3 charities. BikeFest 2018 will happen on Saturday, September 22, 2018 at Look Park so mark your calendars! 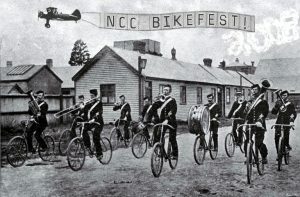 You can view some great photos from past BikeFests here. 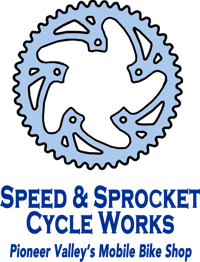 “Thank you for a really well run event (72 miler)” Peter D.
“Thanks for putting on a great ride and I appreciate all you are doing to promote cycling!” — Brian C.
To minimize the environmental impact of BikeFest, most food and materials used will be sourced locally. All aid stations provide tap water, energy drink powder, fresh fruit and pbj or bagels to eliminate packaging and transport waste. Ingredients for BBQ buffet are sourced locally as much as possible. All craft beers are brewed locally at Northampton Brewery, Abandon Building Brewery and BBC. Check out this short video to see what YOU will experience!